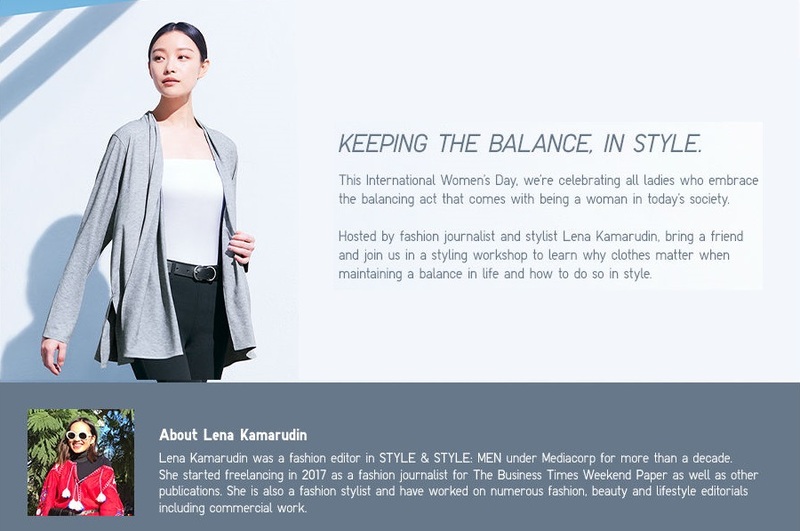 This International Women's Day, I joined Uniqlo with @pupuren for their styling workshop hosted by Lena Kamarudin. The workshop featured 2 collections, the UV Cut range and the BRATOP. 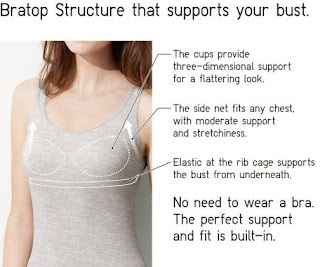 Hate having those bra straps peaking out from your tops, specially if you are wearing camisole/ tank top/ singlet? Want to save luggage space while travelling? In a pinch when it's laundry day and your bras are still drying? These are just some situation having a BRATOP can fix! Uniqlo BRATOP offers a range of designs for ladies with different roles, bust size and comfort level. Another innovative range that Uniqlo has is their UV Cut, that protects the skin by absorbing or reflecting ultraviolet rays! 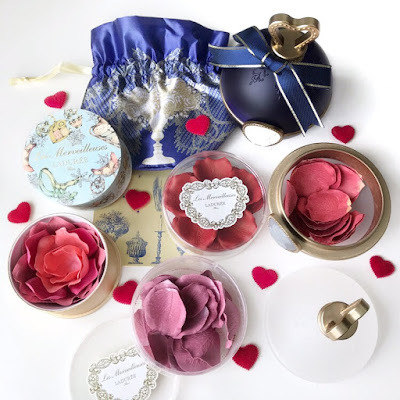 Talk about a multi-purpose product for busy ladies on the go, it really is one second to sun protection. I like their UV Cut Dolman Sleeve Long Cardigan, featured here by the left because it has the perfect length and sleeves' length to throw on when you want to protect your skin from harmful rays. The thing to note is that the effectiveness of the protection depends on the fabric and the amount of washes it goes through. I was told that it has been tested to retain its function even after 10 washes. 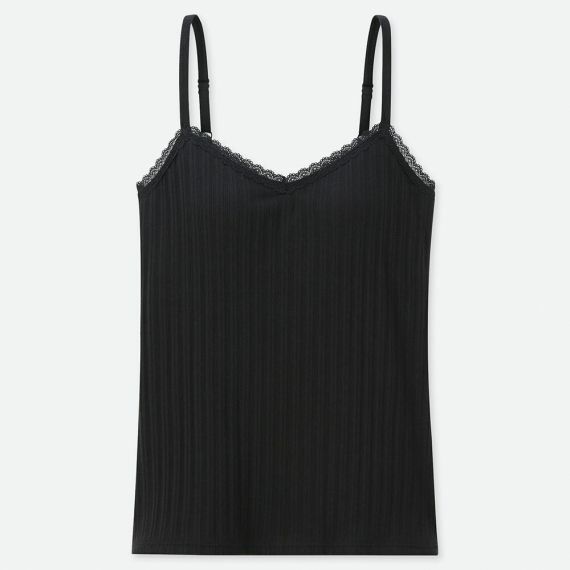 I chose the Pointelle Lace Bra Camisole (S$29.90) in Black with size L from the BRATOP range for this review. Lace details for a softer look. Natural cotton material with spandex and nylon for that added stretch. Smooth fabric lining inside the cups. Has a gentle V neck cut. Size ranges from XS to XXL. I like that the cut is very modest, just a hint of cleavage, making it a very feminine top that is great for a date or even office wear. 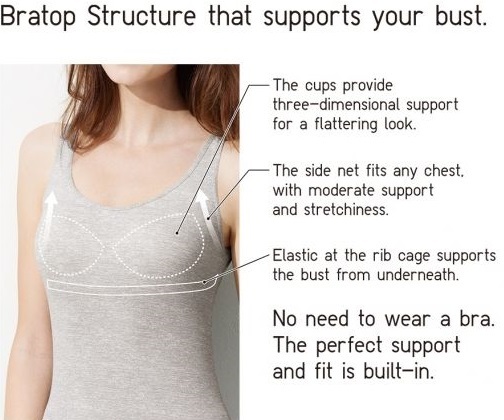 It is also great that I don't have to wear a strapless bra for such tops because it's a BRATOP. It's great for value, and a brilliant 2-in-1 solution for a bride-to-be living in 2 places with incomplete wardrobes. I had some sizing issue because I'm in between sizes but I ended up with L and I've got to say that overall the size & cut feels really comfortable, I just had to tuck the top into my undies (my lil tip) to keep it snug! 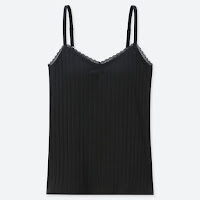 The camisole featured here was a gift by Uniqlo with no expectation of a review or publicity. Reviews are based solely on user's experience and are in not way influenced by any other factors.